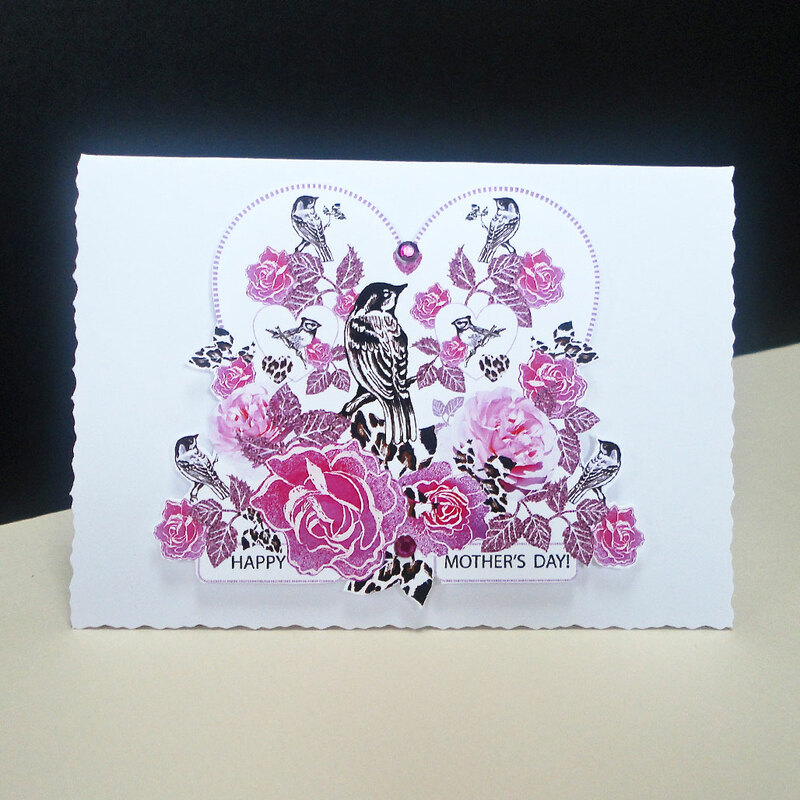 This special Mother’s Day card is a vision in pink. 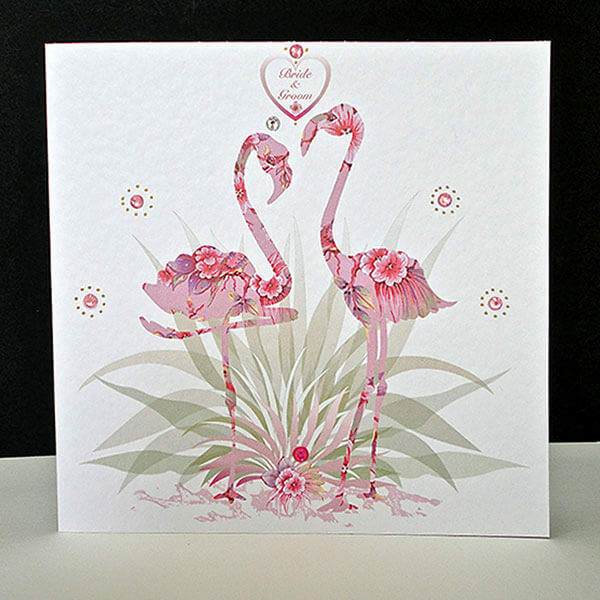 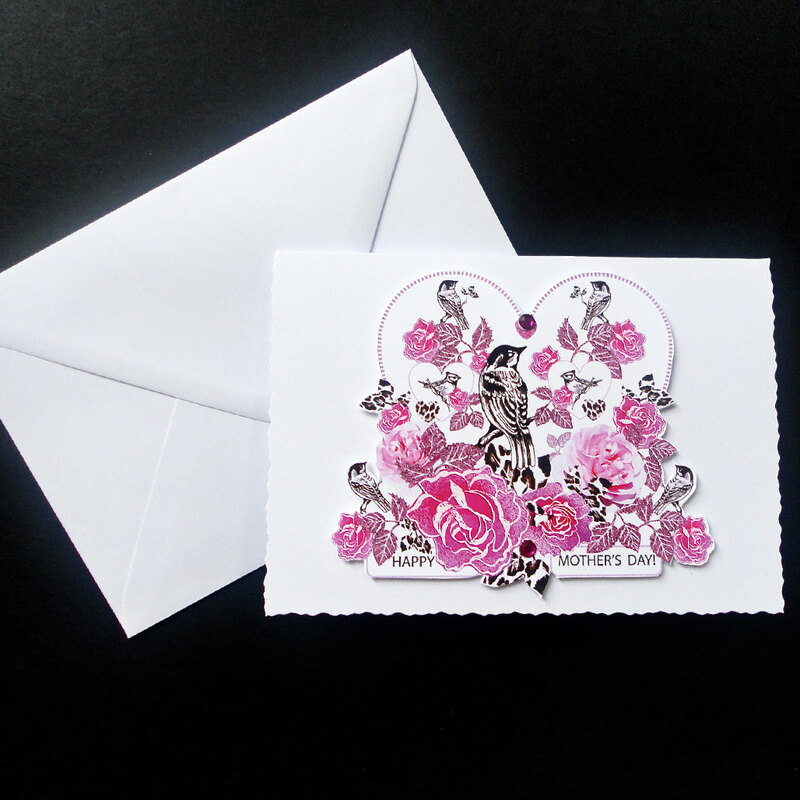 This gorgeous handcrafted card, shows small black and white birds perched among textured, hand-painted and photographic pink roses and textured leaves inside a heart shape scene. 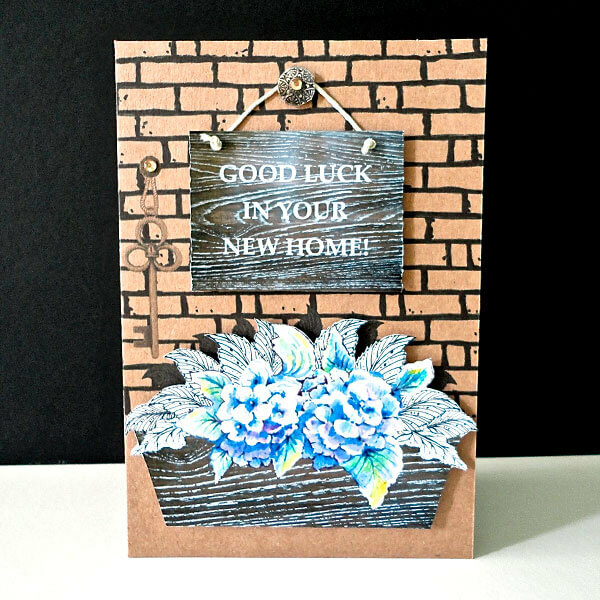 It is a mixture of media that gives this card a unique floral display. 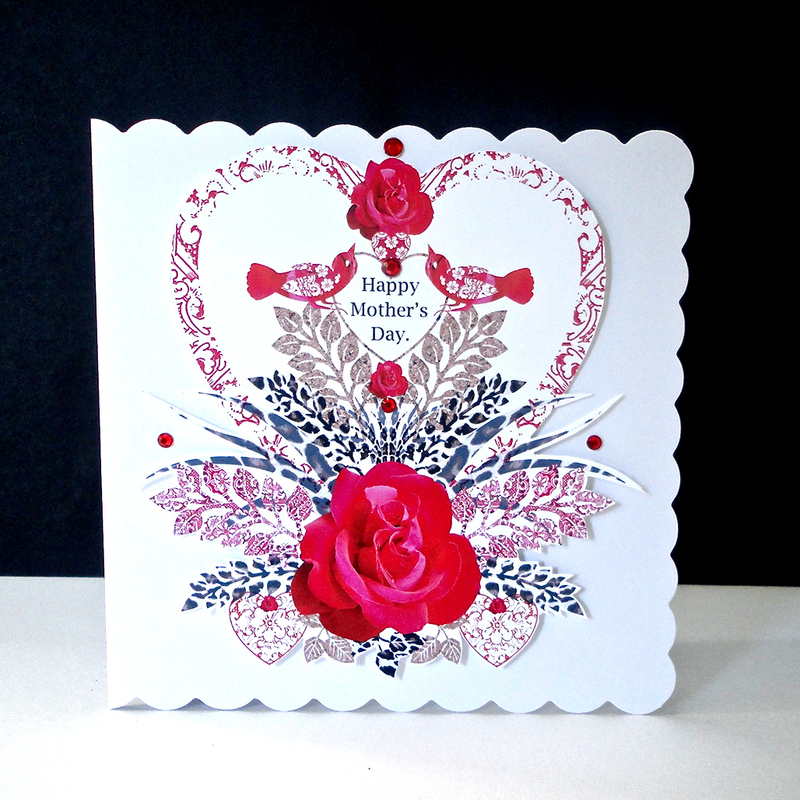 A simple message saying ‘Happy Mother’s Day’ sits at the base of the heart, framed with roses. 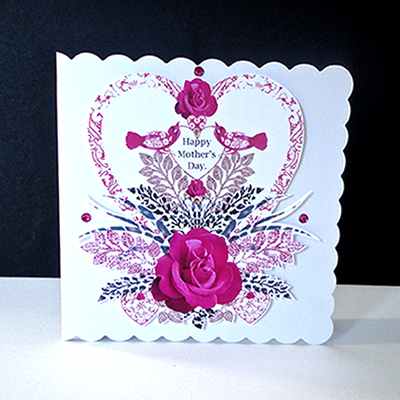 A very special decorative card for Mother’s Day! 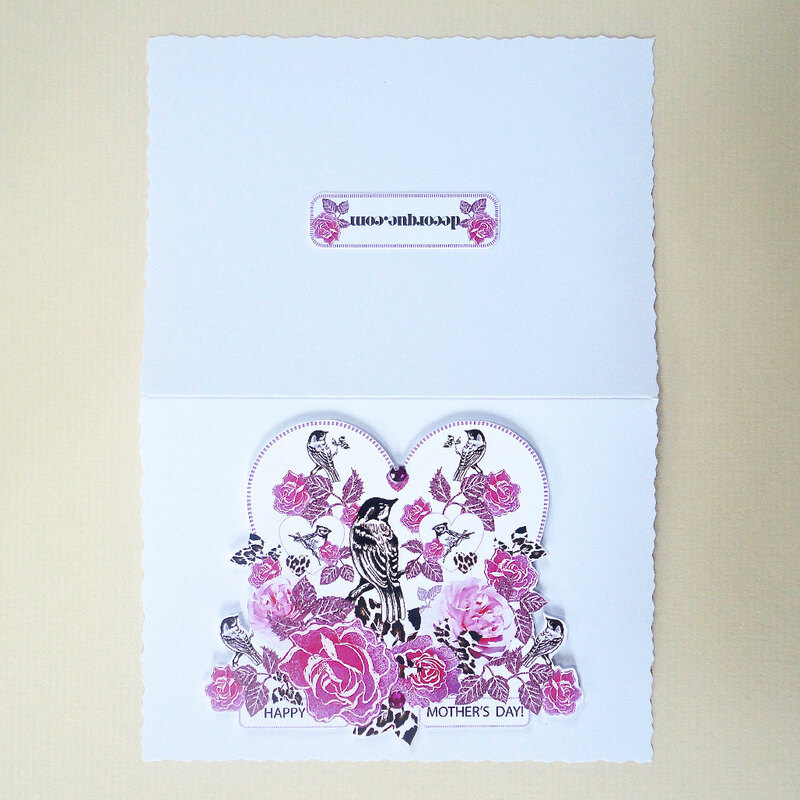 The heart-shaped design is cut out and mounted in relief on a white background and hand finished with bright pink round glass gems.